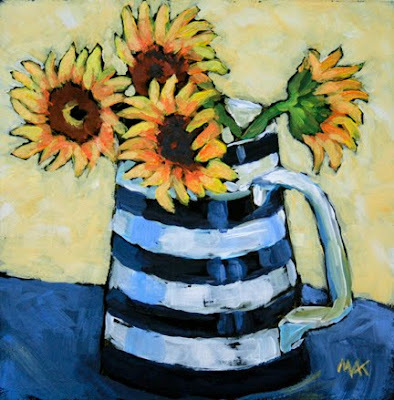 I have been wanting to paint this striped pitcher for a while, and it goes so well with these sunflowers. I may have to do it again. Another sunny flower painting in the cold, warms up the day! Hi Mary Anne, nice little painting! Thanks for visiting my blog.